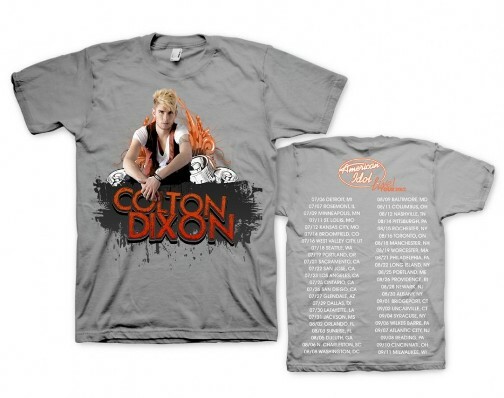 Things were already looking pretty good for Season 11 "American Idol" seventh-placer Colton Dixon when he got the rare opportunity to perform an original song, "Never Gone," on this summer's just-wrapped Idols Live Tour--a tour during which his own T-shirts were unprecedentedly available for sale at the merch booth, alongside tees for champion Phillip Phillips and first-runner-up Jessica Sanchez. And so perhaps it's no surprise that Colton recently officially inked with EMI CMG/Sparrow Records, a prominent Christian label that's also home to big-name CCM and gospel acts like Amy Grant, David Crowder, Tobymac, Newsboys, Switchfoot, and "Idol" alum Mandisa. So it seems like Colton is staying true to his word and going the full-on CCM route, as he has always stated he would, rather than pursuing a more mainstream, secular audience. It's a gutsy move for a man who probably could've signed with Jimmy Iovine's Interscope and recorded a straightahead pop/rock album, but so far it's a strategy that is paying off, as "Never Gone" debuted at number one one both the Christian Digital Songs and Christian/Gospel Digital Songs charts earlier this month. Will "You Are" follow suit? Will Colton experience similar success when his full-length album comes out in February 2013? Quite possibly. I could easily see Colton becoming one of the top-selling artists in the Christian market, and the possibilities of a crossover career for him are still huge, if modern radio actually gives him a chance. What do you think of Colton Dixon's new career move--and new song? Let me know.